Yes, thank you Canada for producing such a fine young gentleman. I know, I know, I know. Some of his songs are…morally questionable. But daaaaang they’ve got some sick beats! But I was listening to Spotify this afternoon, and Drake is all over the Top 40’s station. This little stanza illustrates what I personally believe is a big problem with how we view the Father. That could not be further from the truth. I think a lot of times, we can take inventory of our lives and judge, based upon our circumstances, where we stand in God’s favor. Things are going right, God is smiling on me. Things are going to pot, well, I must have done something to really piss off the Guy Upstairs. Looking back at the course my life has taken thus far in my 20-something years on this earth, I have definitely “walked through the valley,” which is simply just “church speak” for I’ve done a lot of crapola. But it’s true. I don’t need to rehash it, but with anorexia comes a lot of other baggage: lying, manipulation, deceit, vanity, rage, idolization of things other than God, jealousy and the biggie: pride. But looking back from a place of health and freedom and peace, I can honestly say that it was in that dark place that I truly learned of God’s love the most. It wasn’t when everything was peachy keen, going my way, rolling merrily along. It was in the times of desperation where I had no where else to turn, no other lifeline to rely on, no other source of strength or hope. That was when I learned of His love. Of His goodness. Of His mercy. I learned that He is always with me, and hears my cries. Some translations say “the darkest valley.” Which I think is even more powerful. Because think about when we were little: we’d play the trust game with our friends where we’d be blindfolded and our friends would lead us around the backyard or basement. That’s what God is doing here. He is guiding us. With His rod and staff. That’s how close He is to us. We are literally under His arm, right next to His shepherd’s staff. If that’s not comforting, I don’t know what is. But sometimes, God allows us to go through things in order for us to realize just how much He loves us…and to rely on that love. So Drake, I love ya, but you’re just flat out wrong on that one. God is near. So near, we can feel His shepherd’s staff as He guides us through the dark valley. And His love isn’t shown by ‘what we got,’ but rather, the true gift ‘we got’ on the Cross. Yeah, I always enjoy your posts. Goodnight. Yes indeed. I’m shimming with ya. Great post. Brilliant and refreshing perspective. Thanks darling. Drake is a good actor too. He’s been on Saturday Night LIve a couple of times, I like what he does. God loves us, no matter what. Great post! I really love you weave photos and short videos to break up text, each that drive the point you’re trying to make home. I agree with you 100% and that is one of my favorite quotes from the Bible too. God is always there to help us in all circumstances. We need to open up and trust. Great post! Thanks for sharing! The good and bad thing. It is such a struggle for some to comprehend that God is not behaviourally based. He intervenes at the strangest times to the strangest people. There’s no works to it. It’s all Spirit. That is all. If one stops a moment, takes note, and picks up the Spirit, that’s it. You’re down and your ego with it. Now the works are au naturél, automatic, we ain’t even trying. Hugs and love. Enjoy your evening Beauty. You just preached a sermon even if you didn’t want to. you will have a million fore your thru.. thankyou for another great blog. Reblogged this on Revival Now. Wow!! I feel refreshed and ready for tomorrow. I loved it. My pleasure , as always ! i am sure drake love you as well. lol. Wonderfulness! I love the looking forward, and your thoughts on Who God is. Yay! Love your transparency and creative writing skills! WOW! I cracked up with chronic depression in 2008 after 38 years of pastoral ministry. As regards Papa’s nearness I now only picture myself holding one of our young grandchildren. Sophia, our youngest, will still come to grandpa to snuggle in my lap. Though I’m 73 that’s the picture that I hold before my heart relative to me and Abba. By the way have you read anything of Brennan Manning? if not, try Ragmuffin Gospel. God knows how hard life is on this Earth. He lived on it for 33 years and had to deal with all sorts of negative human stuff: hunger, thirst, poverty, people who kept trying to trick Him into saying the wrong things. Not to mention: dust, heat, and so on in His travels. Even now, He sees us as we are. He knows how we struggle through stuff. And the amazing thing is He is willing to help us if we ask Him. Yes, there are times when He will delay saying yes. Or He’ll see the wisdom in saying no. But even when He says no, it is not because He doesn’t care. It is because He can see the good that will come out of it, even when we can’t. It’s amazing when lyrics just HIT you. It’s like the songwriter knew something only you thought you did. Absolutely spot on. Great post! Ahh – thanks so much! You have an amazing weekend too and hugs and love returned xox!! …but He keeps holding on. Even when I don’t. Keeps me under His arm, especially when I’m squirming! Sometimes I can hardly believe He stays with me! Then he sends people, circumstances, and friends like you to keep me going. You are always a pick-me-up. Thanks! Reminds me. I have been reading the book of Job. God doesn’t owe us any blessings. When we obey Him and lead godly lives we are only doing what is to be expected of us. The fact that we have so many blessings in our lives is attributable to God’s love and kindness and mercy rather than our own goodness. Such a good read. I couldn’t agree more that the dark times are when we can feel God’s love and presence the most. In those moments we having nothing and no one to trust but God is when I have felt him the most. Completely off topic – good post, btw – but what “app” or whatever do you use to make your “text images”? They’re really good and obviously they’re custom. Even though I’m totally pop-scene challenged, loved what you had to say. It’s good that we stop believing in a “Santa Claus” God (keeping a list of who’s naughty and nice…) and realize that He is love and as near to us as our breath. Blessings. Thank you, again for another open and honest post. Reading this, I’m so grateful for your willingness to be so open with your past and with your recovery. When I read your admission to the behaviors that were part and parcel of your anorexia, the lying, manipulation, vanity, deceit, rage, and idolization of things other than God, I stopped. I can relate to all of them. I find myself going through this repeating cycle of thinking. The BIG realization that made my recovery possible was understanding that I am loved and precious to God regardless of my sinfulness. I don’t need to change in order to be forgiven, to be loved, or even to be saved, because there’s nothing I could ever do that would *earn* my salvation, and because Christ’s sacrifice is so much greater than me and all my crapola (such a great word). I can hang onto that truth for a quick second, long enough to feel a twinge of self-compassion, and then I circle back into this deep swamp of unworthiness, shame, and fear, thinking of all the ways that I am a failure (I am too judgmental, I don’t pray well enough or sincerely enough, I’m too self-centered, I don’t go to church every day, I don’t do enough acts of service for the poor and needy). When I’m in that frame of mind, I feel so desperate, isolated, hopeless, and unsavable. Reading your words helped me to remember that I am not the only one who struggles with dark things. Thank you for reminding me that none of us are beyond God’s mercy. well said, i agree with you! I’m from Toronto, where it’s illegal to not like Drake!! Thank you for writing this and finding a way to connect it to something people are familiar with. Too many posts about God have no real life connection and it’s hard to make sense of it. I loved this post! It felt so honest and was such a lovely comment on religion. I constantly feel like I get rolled eyes when I admit to believing in God and continuously have to hear the good things/bad things argument. I really related to what you were saying here. A lot of hip hop can be campy and that expression might be its appeal. Allegory, is a powerful tool. Hello. Taking this post further might be noticing those that say they are “blessed” in popular culture and their reciprocity to their church. I’m reminded of Lazarus. I love this so much! Wish more people would realize how true this is. This is a very good post. Something I have been noticing in my own life, in my own way. In recent years, my life has become rather difficult. I really thought I had done something wrong. I am not perfect by any means, but what had I done to cause my life to seem like a constant struggle everyday? Lately I have come to welcome the challenges. Yes, challenges. The main challenge being that of simply understanding that I am not in control of this life. Even of my life. Yes, I make my own choices every day. But, I have also realized that I make those choices when the time is right to make them. Most all things in my life are out of my control. Many things that will happen in the next week, I don’t have any idea of how and when I will make those choices that have to be made, but I will make those choices, when the time comes. Yes, when the time comes. I don’t worry about them now. I could worry about all the choices I have to make and what choices I should make, but I have come to understand for myself, that I will make the right choices based on the wonderful conscience that the Lord has given me. Has give to us all, if only we would listen to this wonderful tool that the Lord has given all of us. I no longer spend my time, frozen in fear of what’s to come, fearing my choices and, as you stated about the “darkest valley”, in many ways, this life is the darkest valley. Each day, we go out blind into a world that is often very strange to our inner selves who know of life in the Lord. A life that is not this life, as we see it with our eyes. The Lord does guide us. He will guide us, if we allow Him to do so. Life often doesn’t get any easier, in relations to our desires for a peaceful, quiet life of leisure that many people seem to seek, but this life does express itself through the challenges placed before us in each day. Facing those challenges with courage. A courage placed within by the Lord and enhanced by our faith and trust in Him. This is true. People often forget that all the heroes in the bible went through trials and tribulation before they were known as great men and women of God. There’s ton of scriptures and stories about the hardships of God’s people. Look at Jesus; God’s only begotten son. He was closer to God than anyone and suffered more than anyone. So right on! Chris breezy with the dance moves” I sing that part all the time and do the little phone move Drake does. Lol!!! I just embarrassed myself. Okay, I gotta add a bit more to this. I one time went through what you think, I think about the same age, too, but I have to ask, if only to try to make you dig a little deeper, and I promise you I am not in any way trying to be disparaging. This is an honest question – how do you know? Where does your sureness come from and please have it be more than a feeling. What is your proof beyond what you were told or read – if you are will to explore those reasons. If you don’t – no love lost. I’d like to ask you a question, though. As human beings in general, What is the reason for having a faith. What do you look for in a faith? Since there are so many and many are so similar, why did you choose the avenue you did? Hi Sonni, thank you for this question. I have absolutely no doubts about my belief in God. And my life is my proof. I was 78 pounds and literally at deaths door with my severe anorexia. The treatment facility I went to told my parents I was the worst case they had ever seen and didn’t know how my body was still holding on. The only way I got better was with God’s help. That is miracle #1. Miracle #2 is a similar situation. I have ulcerative colitis and I was on bed rest due to a flare for an entire year. I went to 8 different doctors, was on, at one point, 102 different pills/drops/powders/medicines throughout the day. Nothing worked. The next step was having my intestines removed. God saved me again by introducing the specific carb diet into my radar, a radical, therapeutic diet. It worked. And to this day I am healed of my ulcerative colitis (an autoimmune disease for which there is no cure.) miracle #3 around the time when my anorexia developed, I was also in another ulcerative colitis flare. I was dropping all this weight, despite eating and trying not to. They doctors ran s test where I had to eat these “tracker eggs” which had a special chemical in them so they could see where they were, real time, on an MRI. The chemical made them visible on the scan. What they found was that my stomach was paralyzed (the pyloric valve) and would not empty. It’s caused gastroparseis. The eggs, which were supposed to pass through the stomach in less than an hour, took nearly 7 hours to empty. This was why I was losing a lot of weight and was malnourished, because the food wasn’t making it to the intestines, were the nutrients were absorbed. Long story short, we went to this Faith- based naturopath and he prayed over me and introduced me to apple cider vinegar. (He was the same person who introduced me to the specific carb diet too) But I went back 2 weeks later to do the stomach emptying test (with the MRI and the scrambled eggs) and my results were completely normal. The doctors at the hospital literally called it a miracle and had no idea how the gastroparseis reversed itself. They had never seen it before. So Sonni, God has literally worked miracles in my life. I would not be here had it not been for His saving hand. I hope that helps answer your questions. Oh you poor girl. You have been through so much. My question was not to refute you our to tell you that you g are wrong or I am right. We hear so much of that and it puts people against people. I do understand, especially when you come from death’s door. I, too, went through a bad time where I should have died, was sick for years and finally at then got a liver transplant. The healing was horrendous and the pain unbearable. I will never have perfect health and out of pain but I’m alive and I have a full life, devoted to helping others, teaching then how to have the confidence and determination to change their lives. But you and I have two completely different faiths. Is one right and one wrong.I’m beginning to think, no. Not if the faith we have enabled us to continue on against all oddsodds. There are aspects of our faith that are the same and many that are not. You are Christian and I am Buddhist and I know it because of the faith and determination , the focus and confidence that pulled me through. Understanding the law of cause and effect, which you call, you reap what you sow, enabled me to understand why it happened to me. First of all, thanks for liking my post today. I’m just getting started and it means so much. Secondly, AMEN! Everybody has ups and downs in their life (some more than others, for sure, but nobody has a perfectly perfect or a perfectly terrible life), but the Father is constant. Third, I have Ulcerative Colitis, too. There’s not many people who understand what it’s like. hey, I’m new to the blogging world and have been looking for people to follow. 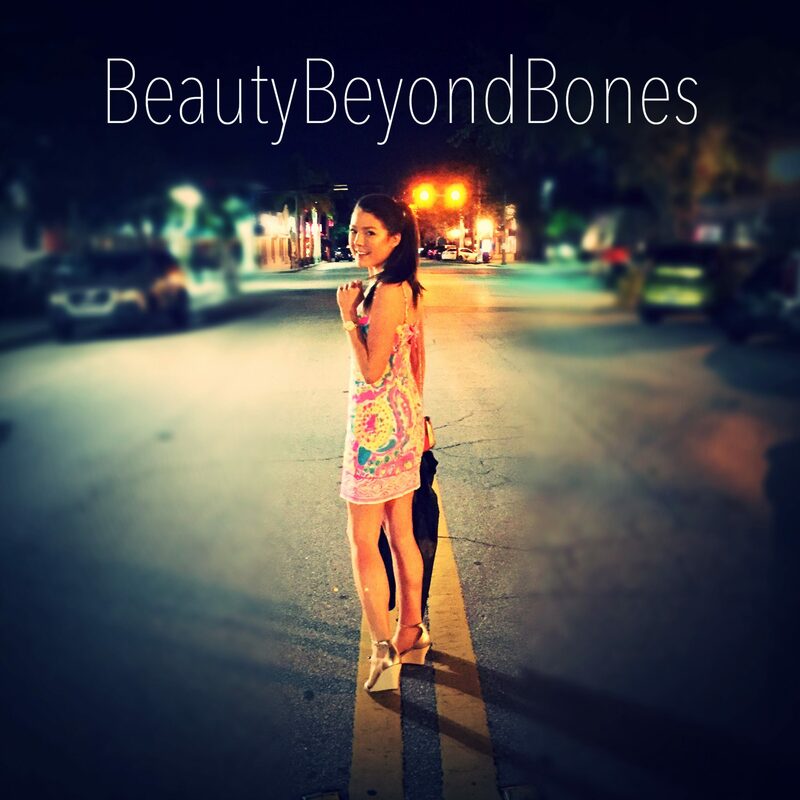 i’ve been exploring your blog and I wanted to let you know that I absolutely love it. Thanks for sharing yourself ! Once again you’ve blessed us with a great post. I love how you take things relevant for today and can tie it back to God. I think it shows we can find God anywhere. Hi, thank you for enjoying my Honor and Respect blog. Are you really an actor? Just curious, have you ever read “The God Who Is There” by Francis Schaeffer? Its so true….we learn more in the “valley” than on the “mountaintop”…..church speak for we learn more when we are empty alone and searching than when its all going great!!! Funny how that works! Love ya! BBB–Thanks for liking my prayer, again. Theologians talk about God the Father as “transcendent” (far off) and Jesus as “immanent” (near by). Judaism and Islam worship a transcendent god, but have no comparable concept of an immanent god. Personally, I find Henry Nouwen’s (Reaching Out) concept of the three movement of the spirit helpful–the movement within us (in ourselves–the Holy Spirit), the movement between us (with others–the example of Jesus), and the movement upward (with God–God the Father)–because I believe that we can have separate relationships with each member of the Trinity. But you’re so right! I’m at a youth conference in Edmonton, Alberta this weekend and I was listening to Heath Adamson speaking yesterday and he talked about when the desciples got caught in a storm on Galilee and Jesus was just like, you know, sleepin in the back of the boat. And they’re all freaking out and Jesus gets up and he says “Peace, be still…” Peace, be still–because sometimes peace comes before the storm is over. And you know he went on to talk about how that storm took them off course from Bethsaida to the Gadarenes, they met the demoniac and Jesus saved him and swnt him home and all the people were afraid of Jesus… and instead of letting the guy come with him Jesus sent him home. The next time Jesus comes to that region? The whole town comes out to meet him with their sick. Later on down the road when the Romans are persecuting the new bride, every other town is refusing the refugees–but not Gadera. All because of a storm. Boom. Put that in your pipe and smoke it 🙂 Jesus is so good! And I love Jesus, I believe people like Drake need to be led to Him. Hi! Im in love with your blog and I was just wondering if you had any tips to get mine rolling better! Thanks!! You’ve got such a wonderful heart. The world needs more people like you! I’m in Australia, so it’s 1pm on Monday and I’m back at uni. But it’s the thought that counts right? 😉 haha. Hope the rest of your weekend goes well! Excellent! Always good to read your posts and hear what God is doing in your life. The mystery of the divine works for me. You recently started liking my posts. I have a few questions for you about your blog. Can I contact you through email? Your story was inspiring! I read only a few comments but I did stumble upon the one with your 3 miracles! I’m glad to hear that you’ve been able to overcome so much. I also have some health problems which have gotten worse in the last while leading me to create a blog to connect with people like me! I have Crohn’s and it’s gotten worse I’m awaiting another procedure! I can’t wait to check out more of your blog! Thanks for checking out my blog! I’m loving yours, so inspiring! Hey! I loved this post and shared it on my wordpress. Hope you don’t mind? 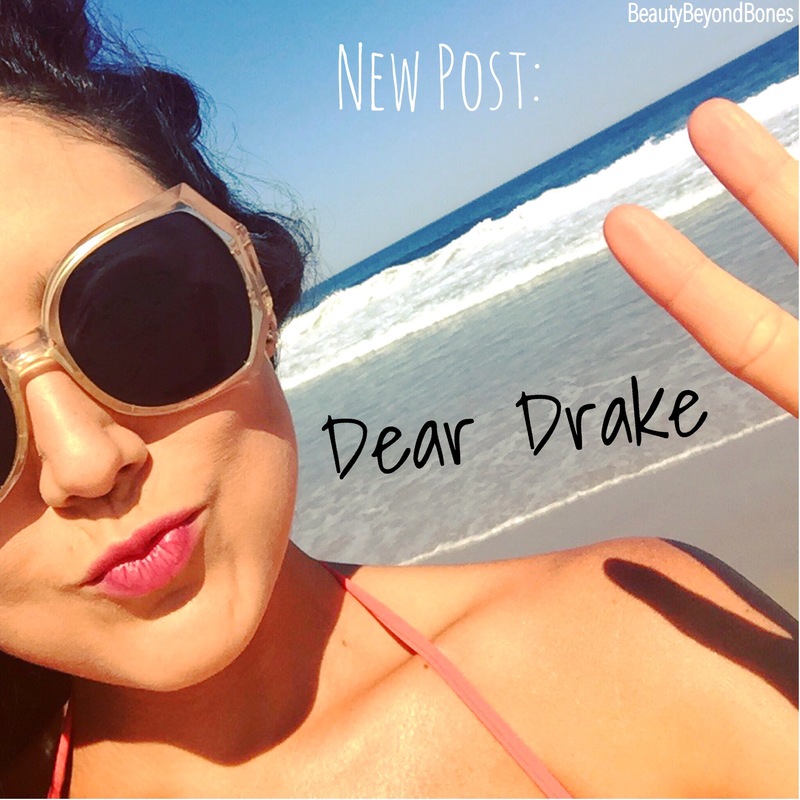 I love your blog posts 😛 Drakes the best! I echo your sentiments, our travails and burdens are the coursework tendered by the Most Omnipotent Instructor, it only behooves us to study earnestly. It is a distinct honor, your words are powerful and appreciated! Well, you know, great weeks are made one silly mistake at a time and I definitely have learned to capitalize on that truth! God bless. Big drake fan but truly nothing like the old school. Great post.